Have you ever asked yourself that question? I know I do. Sometimes, things don't turn out right, things don't happen for you, but you just want to feel awesome right at the moment you get out of bed. I was feeling under the weather last week and I was a little panicked because I had to cover about 9 events that week. I already drank meds and the usual vitamins + supplements I always take when I feel like this way. Still, I felt a little sad and drowsy. 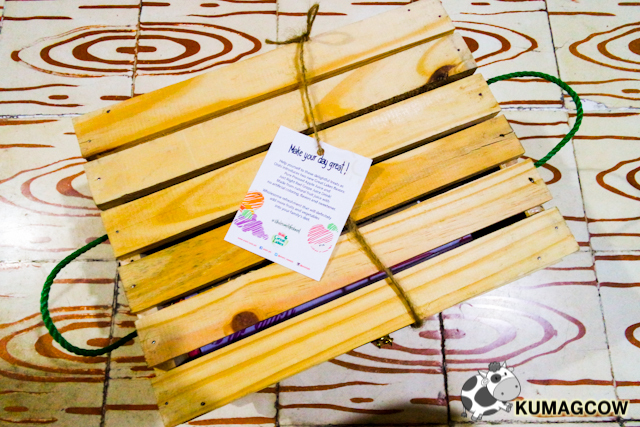 A delivery guy came and gave me this humongous mysterious crate that morning and I thought it was fresh fruits! It was exactly what I need! I was surprised when I opened it though! Oooh! 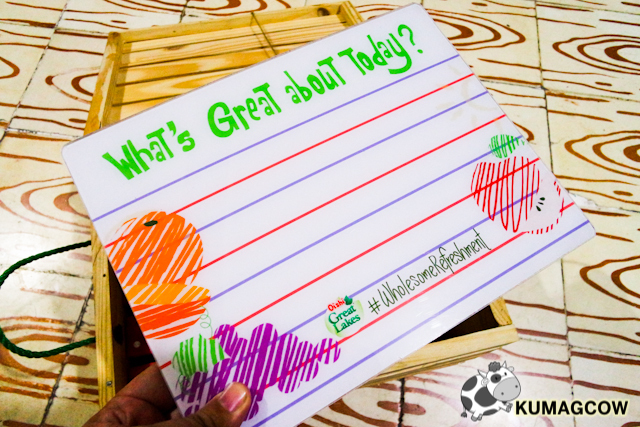 I was ecstatic because it asked me immediately about what's great about today! It reminded me that I had a lot of things to be thankful for and this surprise was one of them. This thing was also a writing board so I could hang it on my wall and remind myself about things I should be thinking about early in the morning. 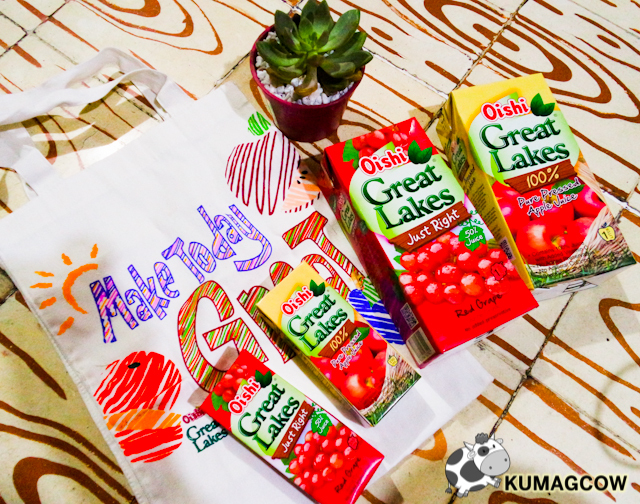 Right under that happy sign, were little tetra bricks of Oishi Great Lakes. 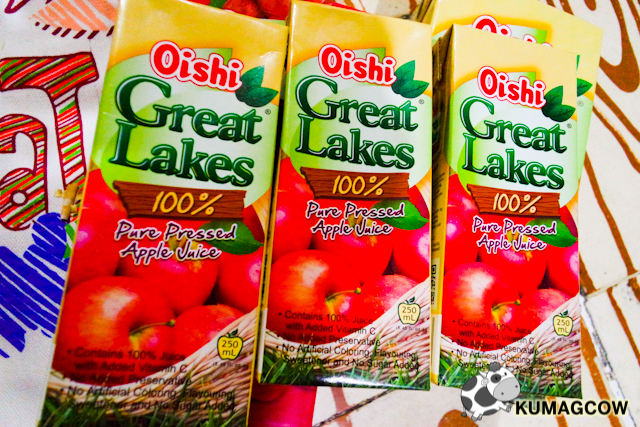 These are real fruit juice drinks that's got no artificial coloring, no artificial flavors or coloring. 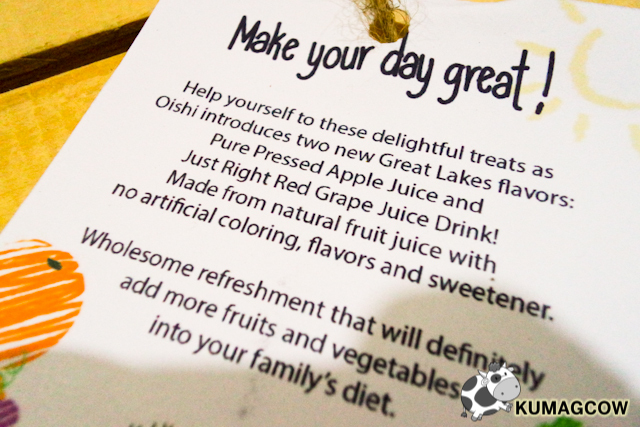 I could imagine it tasting like the real thing that's pressed through cloth like what they do with apple cider. Or what they do when grapes get harvested and they start processing it for wine. 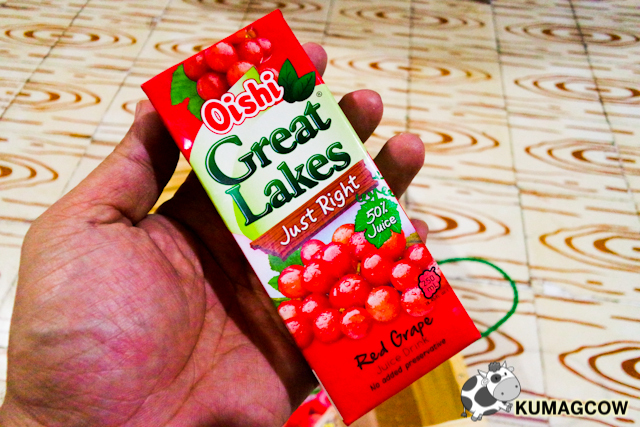 The younger juice is sweeter, non alcoholic, real fruity in smell and flavor. 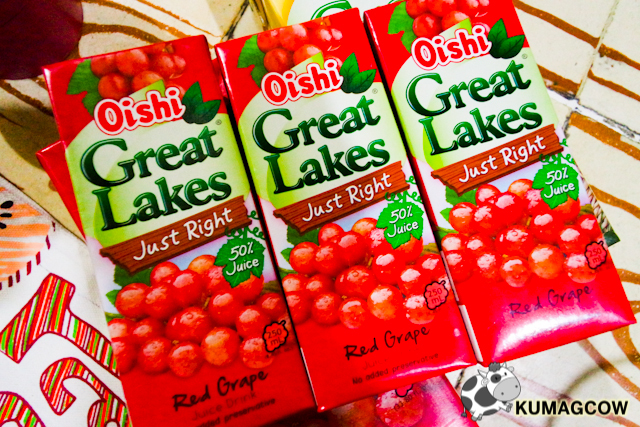 What's even more fun is that they also come in 1 Liter packs which my family absolutely loves! Now we can drink from the box and just keep the rest in the fridge for later, or even cook with it. I can imagine divine sauces for pork dishes, or perhaps beef and gravy with the grape juice. Doesn't that sound good? You too have a LOT of things to be thankful for today! 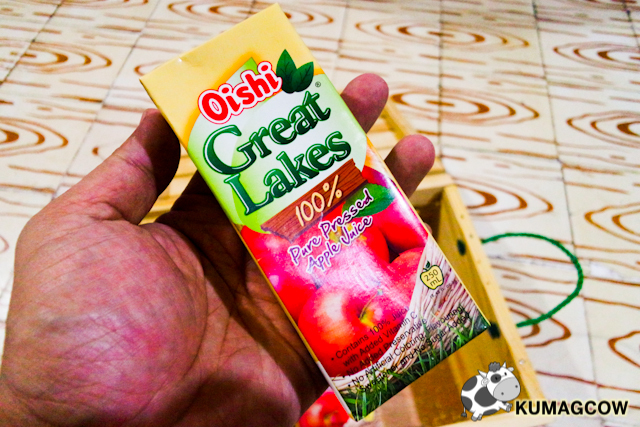 You should go out, go to the grocery or convenience stores and get yourself Oishi Great Lakes for your homes. I'm getting my apple fix, plus grape juice too. Don't be sad, because as I said you've got a ton of things to be thankful for. The sun outside is shining, you've got a lot of friends who care, plus a family to love you unconditionally. Now you tell me, what's great about today?